The Obama Administration and the Hashemite Kingdom of Jordan have both reportedly sided with Israel in its demand to retain control over the Jordan Valley in any future peace agreement with the Palestinians. In a new proposal to both Israel and the Palestinian Authority last week, US Secretary of State John Kerry is said to have suggested that the Jewish state be permitted to maintain a military presence in the strategic Jordan Valley. The new American position on that matter could be the result of reported Jordanian pressure. According to Israeli newspaper Ma'ariv , Jordan coordinated with Jerusalem to convince Kerry of the crucial importance of continued Israeli army control of the border region. Israel has long insisted that, even if it surrenders the bulk of Judea and Samaria (the so-called "West Bank"), it must retain control of the Jordan Valley as a buffer against future external threats, and as a deterrent and protection against Palestinian aggression. Jordan wants Israel in the Jordan Valley to prevent further influx of Palestinian Arabs into the Hashemite Kingdom. 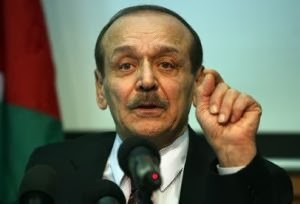 Jordan's Palestinian majority has threatened the Bedouin-backed Hashemite monarchy in the past, including in the 1970-1971 Jordanian Civil War. Peace process on the verge of "total failure"
As expected, the Palestinian Authority responded to the news with outrage. Chief Palestinian negotiator Yasser Abed Rabbo told France's AFP that Kerry had put the entire peace process on the verge of "total failure" by backing the Israeli demand. Rabbo later told Palestinian media that the Obama Administration was aiding Israel's "expansionist agenda" on the pretext of "security" as a means of appeasing the Jewish state following the West's nuclear deal with Iran. US Ambassador to Israel Dan Shapiro told Israel Radio that Rabbo's assertions were incorrect, and that Washington had made no linkage between the Iran deal and the Israeli-Palestinian negotiations.